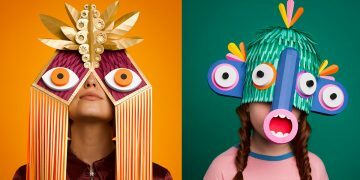 Knitwear designer Kate Jenkins loves to keep busy and push herself to grow and be better every day. 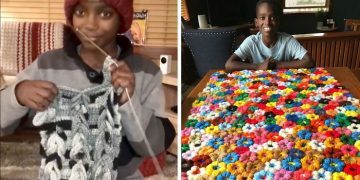 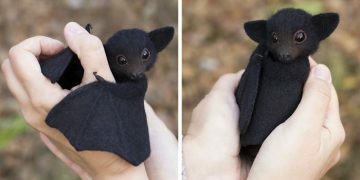 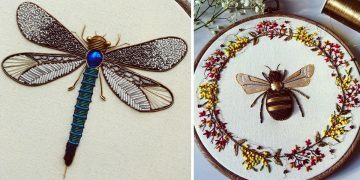 So when she realised she was getting to cozy with her career, she started looking for new ways to express her love for wool, textile, and color. 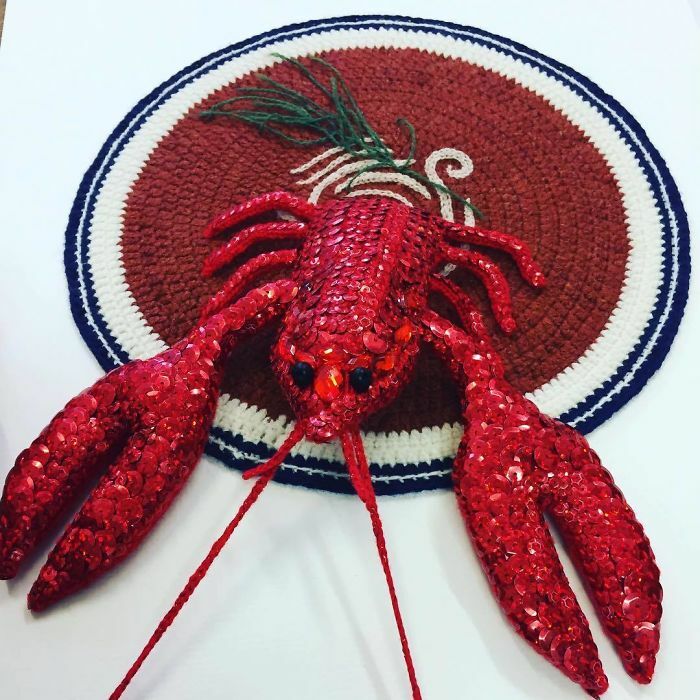 “I have always crocheted since being taught as a small child taught by my mother and grandmother and have continued to use this throughout my career firstly as a knitwear designer and then as an artist,” Kate said. 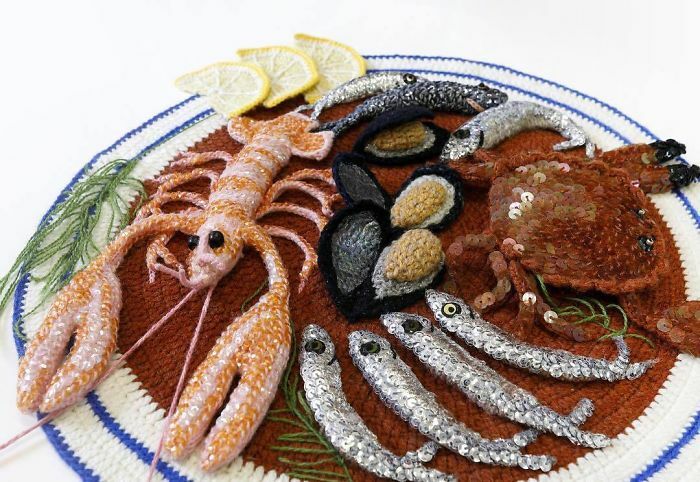 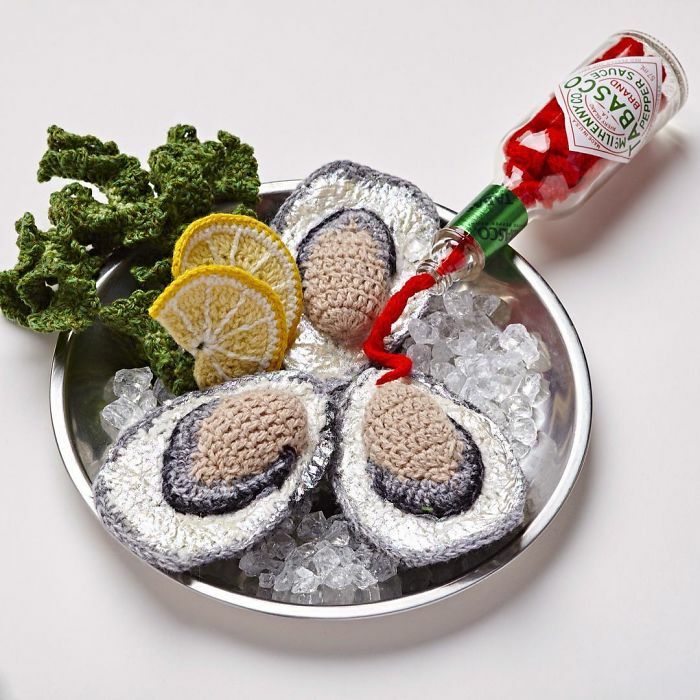 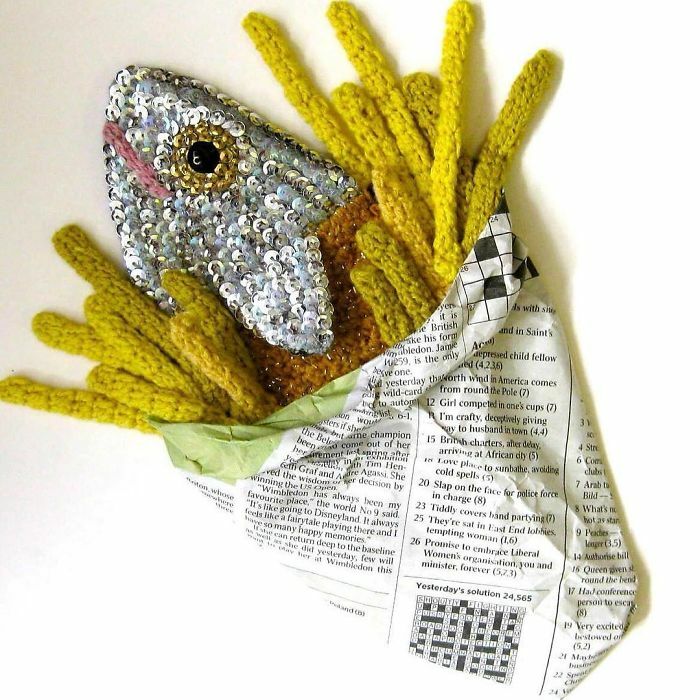 Combine that with her interest in the beauty of the everyday, and you get crocheted seafoods. 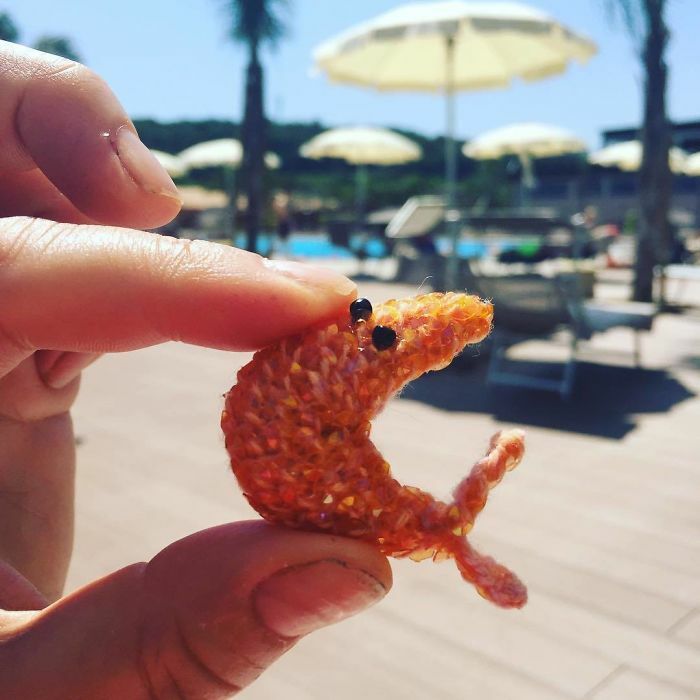 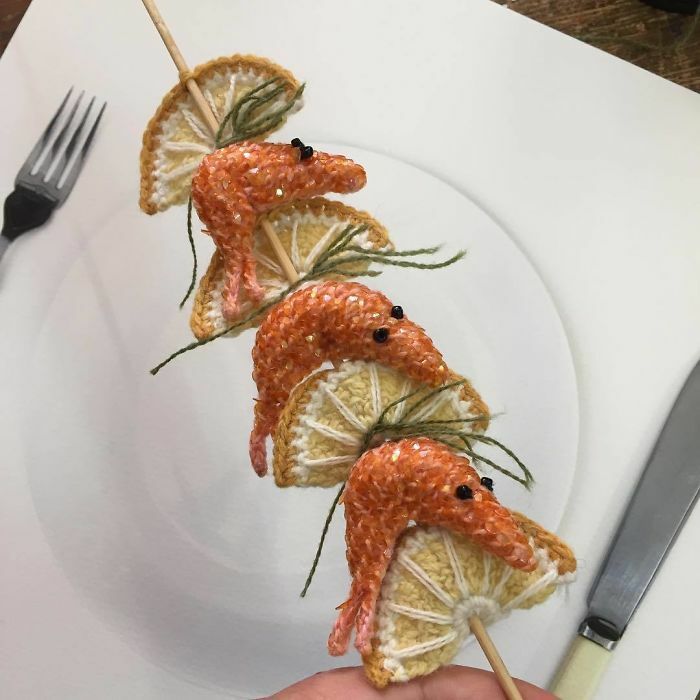 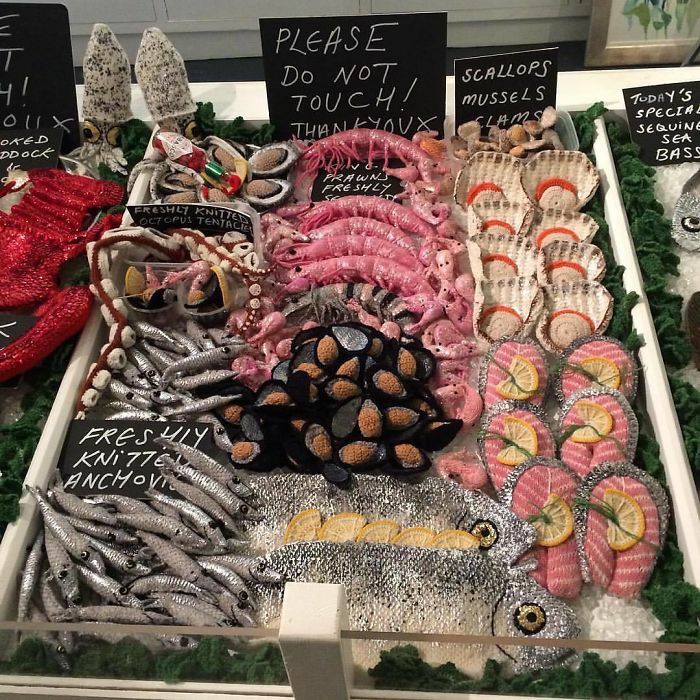 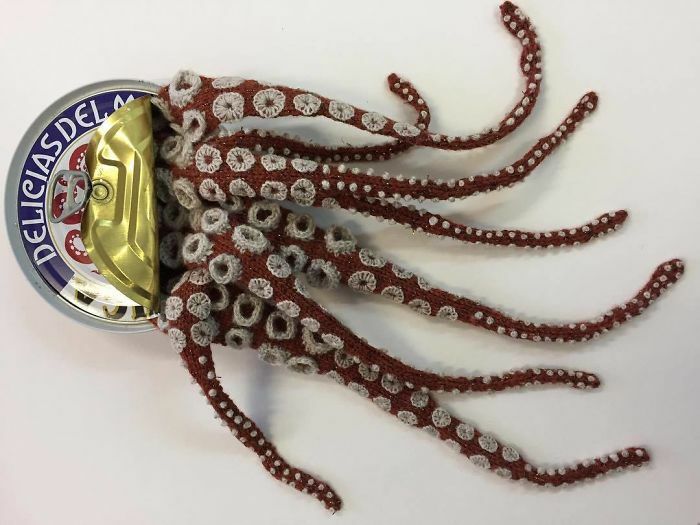 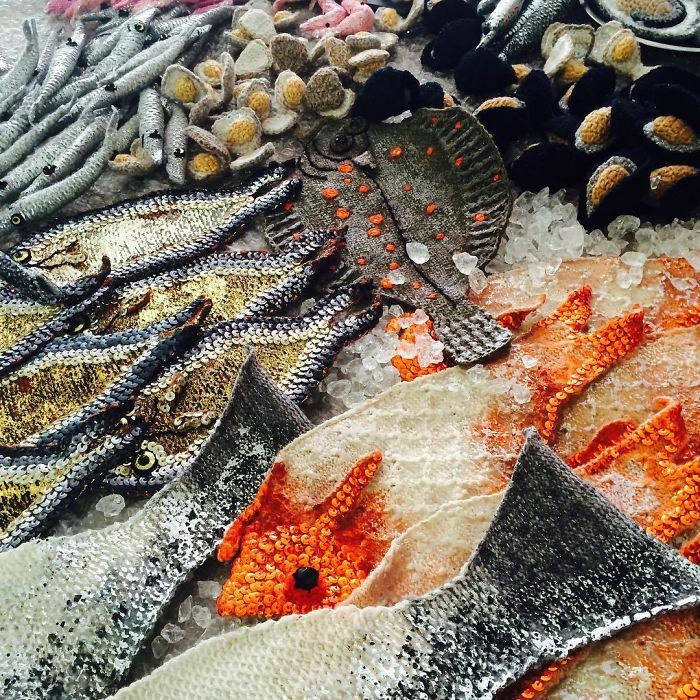 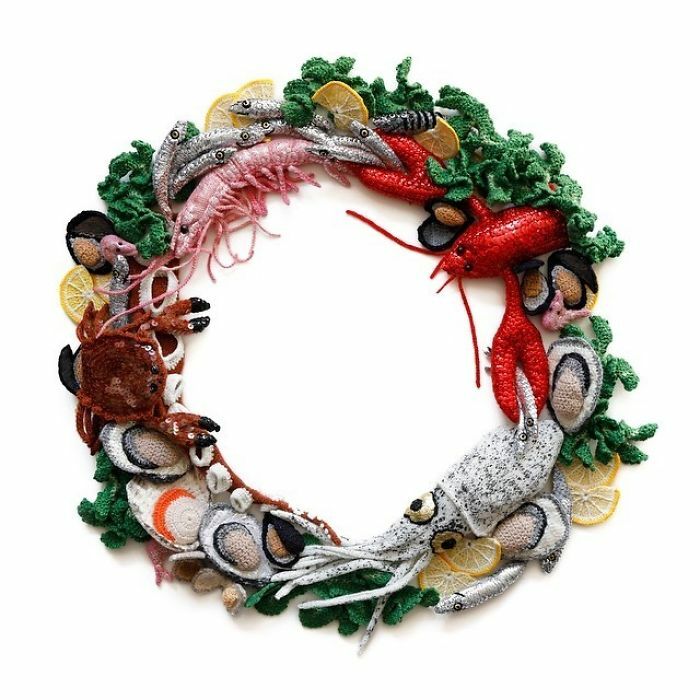 Scroll down to see all of Kate's fishy creations and don't forget to upvote and comment on your favourites!